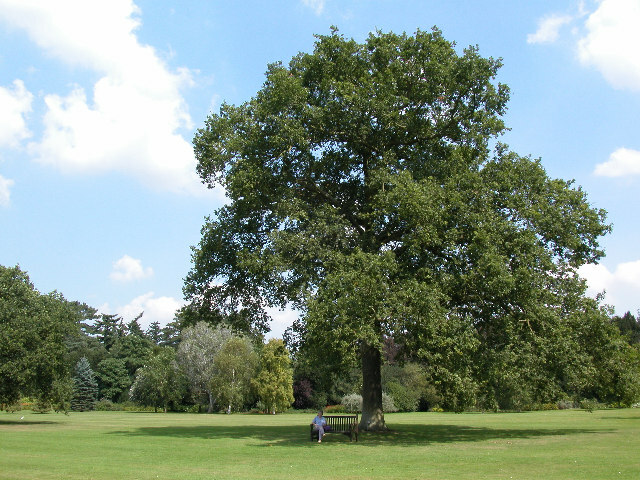 "Queen Victoria's Oak Tree, Sandringham" by Andrew Hugget is LICENSED under CC BY-SA 2.0. The gentle breeze of May is here, trying to lure us away from our computers and into the sunshine. Luckily we’re all pretty mobile these days, so our work can go where we go. And so can online webinars! Check out the crop of online events coming up this month. Significant resources are being allocated to training and development across most organizations, but many companies still find themselves unsure of results. The return-on-investment formula is a financial calculation, but learning is a human behaviour and needs a human calculation. L&D can’t prove ROI using the same methods other parts of the business do. So how can L&D professionals prove investments in employee development actually produce results? Explain why ROI needs to be redefined for learning initiatives and the narrative shifted from causation to correlation. Discuss how to correlate learner engagement with other critical organization metrics to tell an important story about the value of L&D investments. Show you how to leverage Kirkpatrick’s model of assessment and create a targeted strategy around level three and four assessments. Mobile gaming is exploding in popularity, faster than any other learning technology. This session will explore various mobile learning games and discuss the decisions that influenced their game design, learning design, user interface design, and user experience design, and also share a case study of how a mobile learning game was used as part of a larger curriculum to drive business results. Join the webinar and click here to download the 2018 LEARNING TRENDS REPORT by Sharon Boller. How EI is believed to influence behavioural changes and contribute to workplace results. How developing EI saved a career. The influence of EI on team performance, leading to career advancement. The role EI played in navigating a potentially disastrous hiring process. Join ATD and General Assembly (GA) for an insightful discussion with GA’s global technical lead for the Advanced Skills Academy, Mike Dang, on how to create and optimize learning solutions to upskill and reskill your company’s tech talent. Get strategies for uncovering and leveraging existing talent in your organization. Discover how to implement learning solutions to transform your teams. Learn how a major U.S. bank trained liberal arts graduates to be web developers. The pros make presenting look easy, but the polish you see involves hours of preparation and practice. If you’re not a professional speaker, how can you dedicate so much time to such a small part of your job? The answer is, “Don’t!” Instead, join this webinar to discover four simple fixes to create powerful presentations when you’re under a time crunch. Discover how to harness your nerves into energy that unlocks the secret ingredient to successful presentations: engagement. Open with a hook and close with an anchor. Shift focus from the speaker to the learners (whew!). Convert nervous energy into positive energy. Look like you’ve memorized everything, even when you haven’t. Organizations agree that people need to be able to connect with learning much more frequently, but at the same time, they do not want learning to disrupt workflow. A traditional model of classes and courses alone cannot meet these needs, so what’s the solution? There’s an ever-expanding universe of technology that is allowing companies to deliver performance-focused continuous learning that seamlessly blends into an employee’s daily life. What should an organization have in its toolkit? What can be left out? Is it possible to create an environment where learning is continuously happening, but invisible to the naked eye? Why continuous learning is critical. How AI and other emerging tech can help. Thursday, May 3, 2018, 12PM – 1PM PT: Annual Leadership Survey Results: Are Your Organizations Doing Enough to Develop the Next Generation of Leaders? This complimentary webinar will summarize important findings from this study and examine the specific actions that L&D organizations are doing to effectively prepare the next generation of leaders. What the data says about leadership efforts so you can benchmark your organization. The best practices of high-performing leadership development functions. Steps to strengthen leadership development efforts to prepare for the next generation of leaders. Join this webinar to hear firsthand insights gained from this research study. This webinar is designed to address one of the most pressing questions in eLearning...how to ensure the identity of the learner and verify participation. In the past, solutions to this issue were costly and cumbersome but new technology is now available that will address these concerns and provide eLearning with added integrity. The risk to efficiency, quality, safety and organizational due diligence when required training is conducted online. The industry trends that are emerging to address the risks of inadequate or poor participation in online training. The various technical options and privacy controls necessary for a best-in-class integration of ID verification and proctoring technology. Called the “linchpin” of organizations, business unit leaders arguably have the greatest impact on an organization's performance. But they often get the least amount of training and development in an organization—and frequently not the training they need to succeed. The five competencies most critical to business unit leader success. The development experiences L&D need to create to accelerate business unit leader performance. How L&D can best utilize investment dollars to develop business unit leaders. While the manager-employee relationship has some unique dynamics from the formal power relationship, all relationships have undercurrents—such as history, quality of relationship, level of closeness, level of formality, and foundation, just as a starter list. This webcast will consider those unspoken, even subconscious, factors that inject themselves into verbal exchanges and make giving feedback hard. Another barrier to successful feedback is fear of failure. The more difficult the message, the more painful failure to convey feedback will be. There are a few universal tips that apply to most types of conversations and which can be a good starting point. Eventually, it all comes back to the relationship and how to give difficult feedback based on context. Learn how to gauge context and overcome your fear of giving feedback in this webcast. The Competencies for Performance and Learning Professionals developed by the Institute for Performance and Learning (I4PL) not only serve as the basis for I4PL certifications, but also as a tool for hiring and managing the performance of performance and learning professionals in your organization. The seven categories of knowledge and skills identified in the Competencies (and how this version differs from the one published in 2010). The relationships among these categories and common job roles in the field. How managers might use these competencies to write job descriptions, and as the basis of performance plans and evaluations. How some employers already use the Competencies. So you've started creating responsive courses using Captivate and want to take it to the next level? Join Dr. Pooja Jaisingh to learn about the tips and tricks for using Fluid Boxes in Captivate and make the most of them. Along the way, learn about some tips and tricks for using Fluid Boxes with Master Slides, Multi-State Objects and more. Can you measure whether the content in your e-learning system provides an enriching and engaging experience for your learners? If you can't answer this important question, you're not alone. Organizations struggle with the complex activity of analyzing data to identify opportunities that can improve learner engagement, and then translating those insights into content. It's worth it to find out. Courses and related resources that may not be as valuable as intended can result in decreased interest and attendance rates—leading to poor learning outcomes. There are many ways to measure and analyze course engagement data in your LMS. These insights enable managers to identify issues, prioritize change to learning programs, and step up their engagement game. Dive into the possibilities of analytics for your learning function in this webcast. Your instructor-led trainings (ILTs) are missing something. Many research findings and technology tools that have facilitated advances in offline learning can be leveraged to boost the return on ILT. This can have a multiplier impact throughout your organization. This webcast will guide you through research findings, best practices, and case examples to improve the effectiveness of your ILT and drive value delivery to your entire organization. Even with the positive trends toward on-demand, blended learning programs, the bulk of learning budgets are still spent on instructor-led training. Much of the effort around expensive ILT is focused on reducing costs as a means of improving ROI. Those cost-saving efforts are certainly worthwhile, but they miss a big opportunity. Optimize the in-person experience using attention, learning, and neuroscience research. Extend education to deliver "blended learning with an anchor." Foster continuous learning and knowledge sharing. Define and measure the impact of these efforts. In this session attendees will learn how combining video and eLearning can create effective simulations that upskill and change behaviours. Attendees will experience first-hand award-winning video-based simulations as well as poorly constructed simulations. Attendees will then break down the anatomy of the simulation, piece by piece. Breaking down the simulation includes differentiating between first-, second-, and third-person point-of-view camera angles. This session will also cover how to effectively involve SMEs in the storyboarding process to minimize revisions. Finally, it will identify tips and techniques that experts use when crafting decision points, learner answers, and coaching feedback. In the course of your career, you can probably remember a number of times when you’ve found yourself at a crossroads. You’ve been passed over for a promotion again. You’ve been laid off. You’re in a dead-end job. There’s nowhere to move in the company. Your day-to-day work is well below what you feel you’re capable of, so you’re not being challenged. As a result, you’re unhappy with where you are and dread going to work every day. You feel stuck and don’t know what to do. How will you work through this problem? What if you could change your situation? But, how do you avoid making decisions that could take you down the wrong path? How can you use these crossroads to bring positive outcomes for yourself? The key is getting emotion out of the way and taking intentional, proven steps to get you on the best path for your career. Join Vivian Blade, contributor to ATD’s latest book, Work the Problem: How Experts Tackle Workplace Challenges, for an engaging and insightful webcast as she shares practical strategies you can put to work immediately for successfully navigating through your personal career crossroads. Discover why these crossroads in your career are so emotional and how the stress weighs on your well-being. Apply a thoughtful, intentional approach to guide you in working through the problem to make decisions that are right for you. Gain strategies to successfully move forward through these crossroads and reduce the stress in your life. Training, the key to development, engagement, retention, and productivity and compliance. Developing employees’ abilities and knowledge on everything from compliance and job-related skills to leadership and communication is critical. But how valuable is training? Do you find training to be worth the time and money? How do you measure training ROI? How effective is training when it comes to employee engagement? Do you use software to track training ROI? What metrics for training ROI do you use? SystemPhotoReading is a unique way to process and understand large volumes of information quickly and efficiently without speed reading. It wins praise from people wanting to get on top of information. While PhotoReading is not the same as regular reading, your regular reading speed can easily double, triple, or quadruple, with an increase in comprehension and retention! An introduction to the PhotoReading Whole Mind System. Steps of the system: Prepare, Preview, PhotoRead, Post-view, and Activate. Basic PhotoReading procedure, PhotoRead and Activate. How to use the Accelerative Learning State, removing blocks to learning. How to PhotoRead multiple books, create habits of success, and generate new behaviours. Healthcare companies are in constant flux with ever-changing laws and mandates, not knowing whether the FDA will approve your device or medication, and the ongoing competition to come up with the next best product or service. When an industry is in such a constant state of change, good communication becomes essential. Unskilled communication has a negative effect on the bottom line; skilled communication has a positive effect on the bottom line. Most of us have experienced the frustration of not being able to “get through” to another person, being misunderstood by someone, or having someone feel misunderstood by us. It happens every day in both our work and personal lives. This webcast will explore how we get stuck in that frustrating cycle of misunderstanding when communicating, and how we can get communication unstuck. Spot the primary cause of miscommunication and misunderstanding in the workplace. Have increased self-awareness about how we all unintentionally contribute to the problem. Use a specific technique for getting communication unstuck when working with a team, co-worker, boss, customer, or vendor. You wouldn’t trust YouTube with a video that held your personal credit card information. But right now, a quick YouTube search turns up 815,000 videos for “internal meeting,” 310,000 more for “product roadmap,” and 168,000 for “confidential training.” Hopefully, none of those are yours. Every video your business creates needs to be stored somewhere, but where exactly you choose to share your recordings makes a big difference to what your team can do with those videos and how your business can take advantage of them in the future. In this webcast we’ll examine five serious pitfalls that make YouTube a poor choice for hosting your company’s training videos, then look at the pros and cons of six alternatives to find smarter places for your business to keep its video safe. The types of performance gaps organizations most frequently experience. What solutions have been rated most effective in closing performance gaps. The top performance consulting skills organizations most desire. The barriers organizations face during the performance improvement process. Join Adobe eLearning Evangelist Dr. Allen Partridge for this lively conversation about the latest trends in training & development. Based on recent studies and research, the session will explore what people are doing in organizations around the world, and how organizations can achieve great results with modern learning programs. Impetus behind creating and developing virtual universities. Growing demand to encourage learner immersion and ongoing engagement. Role of skill-based learning in business training. Use of gamification for learner engagement and motivation. Ongoing expectations of learners for video. Point-of-need learning and developments in social learning. Proving the value of your learning program through more relevant reporting. Every year, we spend billions on leadership development programs. How do you create ones that actually develop leaders? This webcast will introduce you to the Leadership Awareness Recipe, a method for achieving a thorough understanding of self, team, organization, and business. The recipe requires you to put pedagogical learning methods aside and makes andragogy—adult learning theory—a priority. Recognize why so many leadership development programs aren't effective. Revise what should be included in your leadership program through the Leadership Awareness Recipe. Propose how you can make your leadership program more experiential, relevant, and engaging. When you ask learning and development professionals their favourite aspects of the job, rarely does learning-tool evaluation top the list. Doing a full evaluation takes time, money, and resources away from already busy schedules. In this session, Cara North will introduce you to CPR, a learning technology framework created at The Ohio State University that takes the most essential elements of a technology evaluation and breaks them down into manageable steps. You’ll learn more about a case study where CPR was used to evaluate the Duolingo English Test, an online assessment that tests English proficiency through various types of assessment. Explain the steps of CPR. Apply CPR to a learning technology tool. Develop and apply best practices for conducting their own learning technology evaluations. Take a look within yourself in this one-of-a-kind webcast with Carter Cast, Northwestern University’s Kellogg School of Management professor and former Walmart.com CEO. In this webcast, you’ll learn how to identify your inter- and intra-personal vulnerabilities and which of the five archetypes you fall under. From there, you’ll gain insightful advice and tips on how to examine those behaviours and create stronger career momentum. Today’s eLearning authoring tools offer a host of features and functions but, despite this, learners are often clicking through dull, disengaging courses. It doesn’t have to be like this! In this session, learn how you can use standard Storyline functions to create dynamic eLearning that actively engages your learners. You'll see eight examples of how to transform your slides into visual stories, with interactions that get learners to think, understand, and learn. Your choice. A picture is worth a thousand words, and in a data-driven organization, the art of data visualization will help you communicate your findings more effectively so that you can make better decisions. We’ll show you how to design meaningful dashboards in Zoola so that your users can get the best out of their LMS experience. Learning and development, like any other field, needs to operate on a professional basis. In this case, that means operating on what we know about how people think, work, and learn. It should not mean operating on false premises, flawed logic, and without conceptual clarity. And yet we see the persistence of mistaken beliefs in our products and practices. It’s time to get clear on what’s real and what’s flawed. This webcast, based on the new book Millennials, Goldfish & Other Misconceptions, will talk about what a good scientific basis is, where we go wrong, and what we should be doing. Your organization pays a lot of money for technical talent, both salaries and certification/technical classes. With career emphasis on coding instead of people, you may have very talented technologists who struggle to work with others. Unfamiliar with emotional intelligence and people protocol, your talented technical people may be in trouble for speaking harshly to customers and peers. It’s critical that these valuable people learn to communicate, influence, and connect. You can teach that! Identify learning objectives and outcomes for growing the people skills of your technical talent. Go where they are: leverage games and competitions to ease them into new perspectives. Learn to combine technical and non-technical staff to collaborate over real issues in the business AND grow respectful relationships. New technologies and disruptors, including Artificial Intelligence. The rise of the gig economy and evolving definitions of the employer/employee contract. Diversity & inclusion as a competitive advantage. Recent neuroscience findings have demonstrated that change triggers a sense of danger (the “fight or flight” response) as we are hard-wired to prefer stability. Thriving in this environment, then, requires developing new levels of agility that promote seeing change as an opportunity and a catalyst for personal and professional growth. Identify what your personal "triggers" are and how they affect your role as a learning and change management professional. Help others learn how to take ownership of change to contribute fully to organizational progress. Scaling a sales organization to support a company in hyper-growth requires a strategic sales enablement approach and careful orchestration. Join this webcast to hear how Steve Lamar, director of sales and leadership development at Dexcom, battled the tricky aspects of creating a scalable enablement program. Hear firsthand how his approach, focusing on knowledge, skills, and behaviours, had impact beyond the sales team. Steve will include the key lessons learned from this journey that you can easily apply to your own situation. Learn how to break your enablement plan into knowledge, skills, and behaviours. Identify pitfalls to avoid when implementing sales enablement at a fast-growing organization. Understand the role of technology in creating a scalable enablement program. With a significant number jumping on the microlearning bandwagon, many L&D professionals cut, trim, splice, and space the delivery of micro-content. However, many of them are just using the same content—trimmed down. Instead of an entire 30-minute video, they now have 20 one-minute videos. This approach is symptomatic of a problem where application of microlearning proceeds without rethinking how it truly impacts performance results. In this webinar, you’ll learn how to add depth, relevance, and impacts using your microlearning. How to avoid irrelevant and poorly utilized microlearning lessons. Why your microlearning may be perceived as shallow and low-impact. How to move the microlearning approach to aim for work impacts. How to collect the demands from workers for microlearning lessons and how to deliver and track results. What metrics to set up, how to install, and how to follow them up to get results. Regardless of economic times, funding for learning and development is always at risk. Mitigating the risk of losing resources requires a shift in thinking to one that focuses on results rather than the activity of learning. It requires a design mentality where the basis for programming begins with the Why? and the end game is not the evaluation, but the optimization of results. Dr. Patti P. Phillips, along with her husband and business partner Dr. Jack J. Phillips, has spent the past decade helping organizations integrate measurement and evaluation into their programs, projects, and practices. Their work has influenced the thinking of learning professionals worldwide. The latest research on what executives want from their learning investments. Eight steps to enable teams to protect and increase budgets. Techniques to seamlessly integrate measurement, evaluation, and ROI into your programs, projects, and practices.